February is always a cold month and the ground can be covered with snow or frost, but with the occasional warm days there are landscape plants that will bloom despite the chilly weather. The Oregon Grape Holly is a native shrub that often blooms very early in the spring and sometimes as early as February. The plant grows to 3-6 feet tall with evergreen leaves that have sharp spines at the edges, very similar to the American Holly. The main difference between the American Holly and the Oregon Grape Holly is that the leaves of the Oregon Grape Holly has 13 leaflets that create a compound pinnate leaf while the American Holly has a single leaf. The flowers of the Oregon Grape Holly are small but bright yellow, slightly fragrant, and are arranged in clusters on stems that look like fireworks on the top of the plants. The stems are about 2-3 inches long and the yellow flowers shine brightly on the top of the dark glossy evergreen leaves. 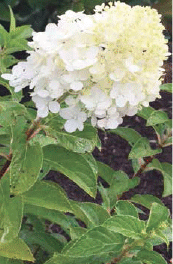 The plants love to grow in part sun or full shade in acidic, moist but well-drained soils, perfect for most of the Eastern Shore of Maryland. Neither rabbits nor deer like to nibble on these plants but the native birds love the rounded blue grape like fruit. Another native shrub that blooms in the very early spring are the Witch Hazels. Both the Common and the Vernal Witch Hazel plants bloom during the winter months and often in February. They have bright yellow, orange or red flowers that are made up of four thin crinkled petals about a half-inch long. On some, the petals roll up with very cold weather to avoid freeze damage. The fruit is not feasted on by birds, and even as a native plant, deer often leave the foliage alone. Both of the Witch Hazel plants grow best in full sun with acidic, moist but well drained soils. They can be used in an informal sunny hedge as a border or screen or even in a rain garden. PreviousWhat’s Marie Kondo decluttering all about?